Styling Work is Featured – Yay! Life has been super hectic for me over the last couple of weeks but when something that you’ve been working on for so long finally gets recognized you can’t help but feel a moment of “this wasn’t for nothing after all!” This moment I’m referring to is when a style shoot that I helped stylize was featured on Belle the Magazine. My boss Misty did such an incredible job shooting and editing, and all the participating vendors’ work was so superb that I feel honored just to have been there let alone be active in the shoot. 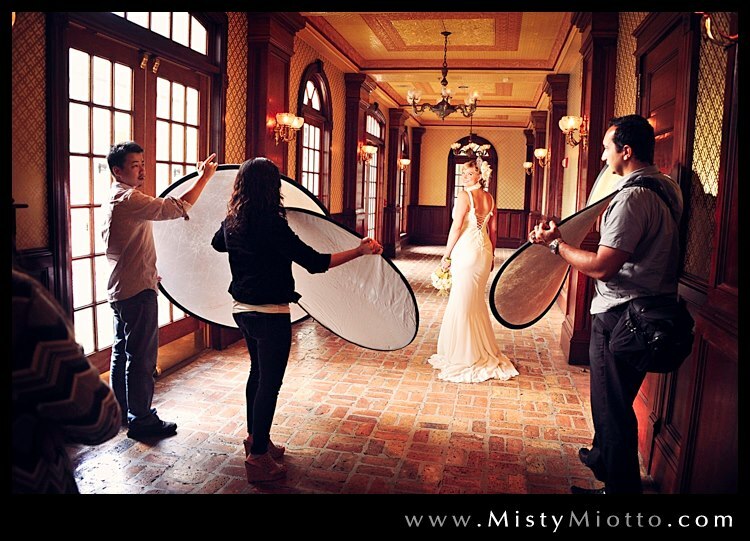 That’s me in the middle with the light reflector! The theme of the shoot was 1920s Hollywood glam/Great Gatsby. The major thing that I did was stylize the guest tables and the sweetheart table. Pretty much most of the day though I was running here and there getting props, fixing dresses, holding the light reflector, coordinating the different vendors, and anything else Misty or our team needed to get done. It was such a long day! But it was a lot of fun playing with so many pretty thing (I know…I’m such a girl!). Here are a couple of my favorite shots from the shoot but to see the full post, click here or visit Misty’s blog. Christmas Tree Up – Officially the Holidays!